Joanne Zienty was born and raised on Chicago’s South Side. She spent a lot of time wandering the aisles of her local branch of the Chicago Public Library. Besides wandering, she also did a lot of reading. But when she couldn’t find the stories she wanted to read, she started writing her own. Joanne’s first success as a writer came in 5th grade, when she completed a 70-page novel – an homage to Walter Farley’s Black Stallion series – and had her first play – a Thanksgiving melodrama – produced on the stage of her elementary school. She’s been writing ever since. She studied English Literature at the University of Chicago, earned her teaching certificate from Roosevelt University and completed her Master’s in Library and Information Science at Dominican University. She studied creative writing with Molly Ramanujan Daniels at the University of Chicago’s Graham School and Ms. Daniels’ own Clothesline School of Fiction. Several pieces written and performed for these classes form the early chapters of her debut novel. In 2014, Joanne won the very first Soon to Be Famous Illinois Author contest, sponsored by the Illinois Library Association and the RAILS Library System for that novel, The Things We Save. She was a finalist for the 2016 BookLife Prize in Fiction sponsored by Publishers’ Weekly and in 2017 was named an “Emerging Voice” in fiction by the College of DuPage. She’s given presentations and read her work at libraries across the six-county Chicago metropolitan area and at Waterline Writers in Batavia, IL, as well as meeting with local book clubs to discuss her work. She is currently working on her second novel. 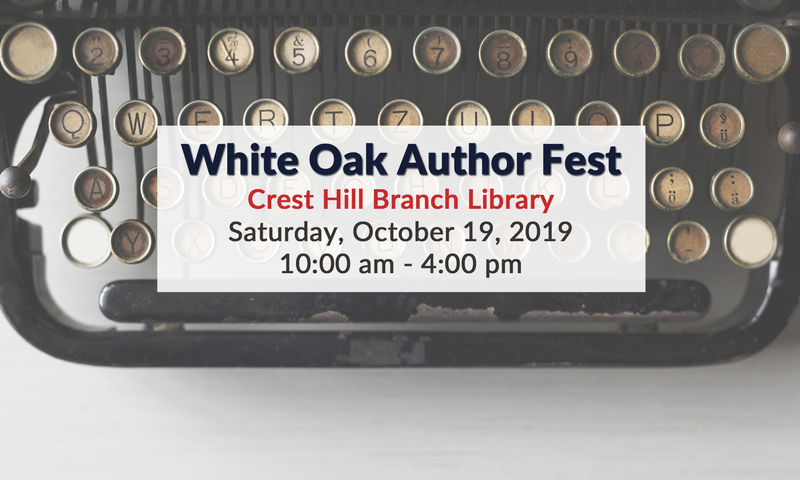 Today is the 2nd Annual White Oak Author Fest!